Positive does not mean permissive. "Any dog trainers out there? 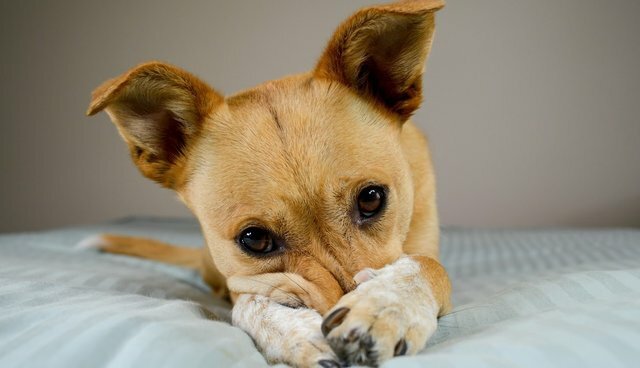 I'm all for positive-reinforcement dog training, but most experts seem to dodge a major question: What can you do when pups do something 'bad' (e.g. chewing furniture, jumping up on chairs, etc. ), besides ignoring it? Re-directing is one way to get them to temporarily stop, but it wouldn't seem to teach them that something isn't allowed. Anyone with experience out there? Thanks!" My comments were removed by the author (which was really weird because they were respectful) but one of the things I was wondering was which trainers he's talking to because none of the trainers I know, who use positive reinforcement, would ever avoid that question. Set the dog up for success. Don't set them up to fail. We are the humans with the big brain. Prevent the dog from being able to do the "bad" thing. If dogs are allowed to repeat things they will get better and better at the thing. It's better to use management to prevent the "bad" behavior from ever happening in the first place. Some examples of management would be: Crate train them so they learn to love their crate and don't allow them to roam loose when you're not home. Put your stuff away so they can't chew it and give them "legal" items to chew. Get a trash can with a secure lid so they can't get in there. Use a baby gate to prevent them from having access to certain areas of the home. Put a leash on the dog so they are unable to dash out the door. Take them for frequent potty breaks while they are learning so they don't have the opportunity to make a mistake. Put them on a food schedule so you will know about when they will have to go potty. Train a positive interrupter and interrupt them when they are doing something they shouldn't be and then redirect them onto a behavior that's more appropriate. If you are consistent with management and redirection the training will stick! If they are really determined to do the "bad" thing then there's something else going on. For example, the dog might not have gotten his morning walk/run or fetch session and he's bored. If you don't want them on the couch, teach them that going to their bed is the best place on earth to be. If you don't want them jumping up teach them to sit. Train the dog to do what you want them to do. They have no idea what you want if you don't teach them. You have to be proactive about it. They don't come pre-programmed knowing stuff. Focus on what the dog should be doing instead of what the dog should not be doing. Note: Dogs don't generalize as well as we do. What you taught in the kitchen they may not know in the living room or outside (where distractions are a huge thing). It's important to train new behaviors in different locations so they understand that the word "sit" means "sit" wherever they are. If the dog is not doing a behavior that they "know" don't assume that they are being stubborn. Go back to the basics and try again as if you never taught it. In highly distracting environments keep your expectations low and your rate of reinforcement high. Don't ever be stingy with rewards. If 95 percent of the dogs with "behavioral problems" got exercised properly - their brain and their body - they wouldn't have behavioral problems. A twenty minute leash walk around the block is not enough exercise for most dogs. Dogs also need their brains exercised so teaching them tricks or giving them puzzle toys will help immensely. Don't feed the dog in a food bowl. Give them their meal twice a day in a puzzle toy that takes them some time to figure out. After 20 minutes with a puzzle toy they will be way more tired than that 20 minute walk around the block. Or better yet, use those meals for training. A lot of my dog's meals are fed as training sessions. You have to be consistent when training your dog. Decide what the rules will be and stick with them. Dogs are easily confused and behavior that is reinforced will likely be repeated. So one day it's okay for them to jump up and give kisses then another day when their paws are muddy it's not, the dog will be very confused and they won't understand why you're upset. This one is huge. It's so huge I'm making a separate paragraph for it. If you teach your dog impulse control they will learn that the whole world is not their oyster. That's an important thing for a dog. I still spend a lot of time working on this. There are a lot of fun games you can play with your dog; just check out Youtube for ideas. It's so easy and the lightbulb comes on immediately. Teaching impulse control goes a long way and is probably more important than anything else. I'm planning on doing a whole post about this important topic soon. Sometimes a timeout can be good for both the dog and the human. As long as it's done in a positive manner and not an intimidating one. I usually give this advice in particular to people who have puppies who are biting excessively. I've been doing this sort of training from early on with my dogs and they are perfect house dogs. They've never had the opportunity to get into trouble in the home and they are allowed access to most of our place when we are gone. Neither of my dogs have chewed anything of mine because I keep my stuff put away. If it's valuable it's not going to be left out. They've never gotten into the trash, either. It's just never occurred to them to do so because they've never had access to it. We don't have any behavioral problems at home because they are addressed immediately and I've been proactive about management and training. My dogs have never door-dashed, either because door manners was one of the first things I worked on, especially with Phoenix. The dogs are allowed on the furniture but they will get down as soon as you ask. They sleep in their own beds at night. We have rules and they follow them. I've always felt that dog training wasn't that hard. A little bit of skill and you can go a long ways, especially if you are consistent. Most people don't need their dogs to know the advanced tricks and that's okay. The dogs just have to know what the rules are and they need your time and attention. You don't have to throw a can of pennies at your dog, you don't need to hit them. Any sort of aversive punishment will have fall-out and it's not necessary to get results. A lot of people have recall problems because sometimes they do terrible things to their dogs. The dogs don't want to be around their person or come back because their person is not fun. I want to have the best relationship possible with my dogs. I never want them to be scared of me. I'm sure you do, too. So don't use aversive punishment. Dogs only do "dog stuff" they don't know that it's right or wrong. They are being reinforced for it so they will keep doing it unless they are taught to do something else. Any failure on our dogs part is our fault, not there's. I will always advocate for modern science-based training and I hope you will, too! This article originally appeared at ZoePhee: The Adventures of Zoe & Phoenix. Check out our blog for all of our latest adventures and dog training posts!